A decade ago — in May 1993 — this column first mentioned unusually bright little children who are also unusually late in beginning to speak. Unknown to me at the time, this set in motion some remarkable developments which have not yet run their course. Letters from parents of such children in various parts of the country led to the creation of a support group of 55 families that kept in touch with one another, largely by mail, but also by phone and even some personal visits between parents in different states. It also led to two books, the most recent of which — “The Einstein Syndrome” — included research by Professor Stephen Camarata, a speech pathologist at the Vanderbilt University Medical Center and himself a late-talker. Professor Camarata has his own support group of more than 600 families of late-talking children, spread across the United States and extending overseas. He is spearheading research on children with extraordinary abilities who nevertheless may not speak a complete sentence until they are three or four years old — or older. Albert Einstein was the most famous such person but there have been many others. One of the most remarkable late-talkers was a boy in India, born into a poor family named Ramanujan during the era of British rule there. He somehow came into possession of a book on mathematics, written by a leading British mathematician. Young Ramanujan went through the book and taught himself mathematics. Then he went on to derive further mathematical implications on his own. Eventually, his work was recognized at Cambridge University and he was brought to England, where he was elected a Fellow of the Royal Society. Music is another area in which some late-talking children have been remarkable. Famed nineteenth-century pianist Clara Schumann and famed twentieth-century pianist Arthur Rubinstein were both late-talking child prodigies. The children in both my group and Professor Camarata’s group tend to excel in mastering logic-based systems, whether mathematics, chess, pianos, or computers. More than four-fifths of these children are boys but the few girls among them share the same over-all pattern. Unfortunately, they have something else in common — “experts” who are quick to label them, whether that label is mentally retarded or autistic or any of the other labels that proliferate to describe children who differ from preconceptions. Einstein himself was considered to be mentally retarded as a child and so was Edward Teller, another late talker. Professor Camarata repeatedly encounters late-talking children in his clinic who have been labeled autistic but who are clearly not autistic. Too often they are labeled as having a “pervasive” developmental disorder, even when their only problem is being late in beginning to speak. The needless anguish inflicted on parents by false diagnoses is too often accompanied by treatments that are so oppressive — tying the child in a chair, for example — as to force even a normal child into problems such as withdrawal from people. Make no mistake, however. For some children, lateness in beginning to speak can be a symptom of deeper, more serious, even dangerous, and long-lasting problems. For others it is not. Multiple professional evaluations are needed to sort this out. But the quality of those evaluations is crucial. Local school districts are usually the worst when it comes to reckless diagnoses and dogmatic certainty. They offer free evaluations of children, but it can be the most expensive free thing a parent ever gets. 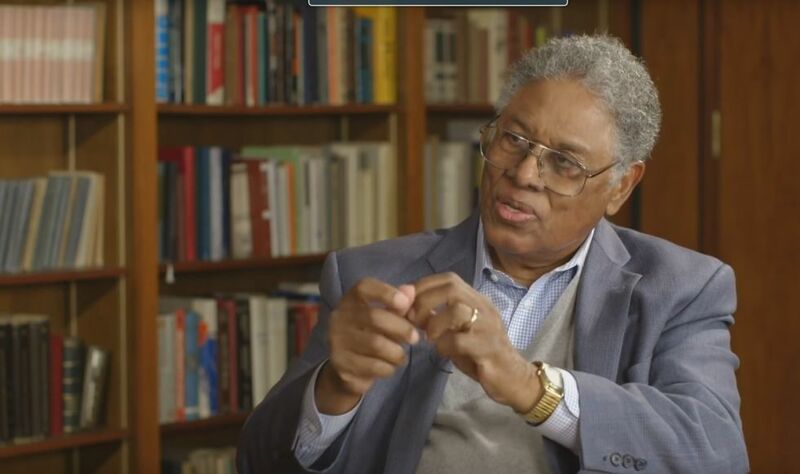 Thomas Sowell has published a large volume of writing. His dozen books, as well as numerous articles and essays, cover a wide range of topics, from classic economic theory to judicial activism, from civil rights to choosing the right college. Please contact your local newspaper editor if you want to read the THOMAS SOWELL column in your hometown paper.